Everything about Gertie says ‘inviting’ with its curved shape. 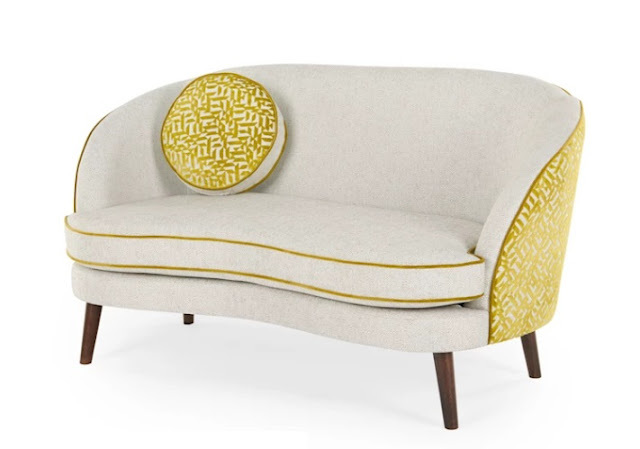 A beautiful compact sofa and chair with very distinctive curves, these pieces will fit in anywhere from bedroom to your front room, in tactile velvet or this very flamboyant Designers Guild fabric for a more opulent finish. Collaborating with Designers Guild, MADE showcases Gertie’s in house designed silhouette in the label’s fabric. The contrast of grey Pettazzo and crushed moss velvet panelling and piping make sure this sophisticated seat feels as luxe as it looks. The armrest and back follow one single curve to give this seat a cocooning effect. And set on walnut finished legs, Gertie's sleek silhouette makes an impact without dominating your living room. Created by the in-house design team, MADE Studio. They wanted to create a compact sofa and armchair collection that’s just as impactful as an oversized piece. 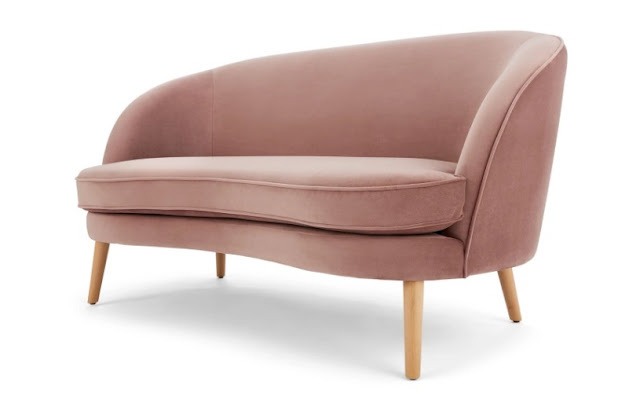 The armrest and back follow one single curve to give that cocoon effect. 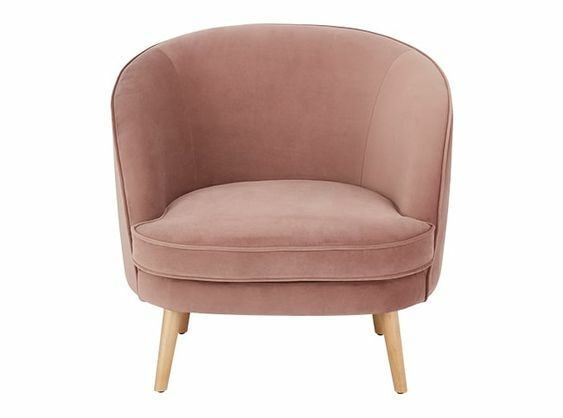 It’s then finished in a velvet material for a soft, lush feel.